Perfect Colours is taking to the road this summer with its SureColorRoadshow, with registrants offered the chance to win an iPad Mini simply for signing up and attending. 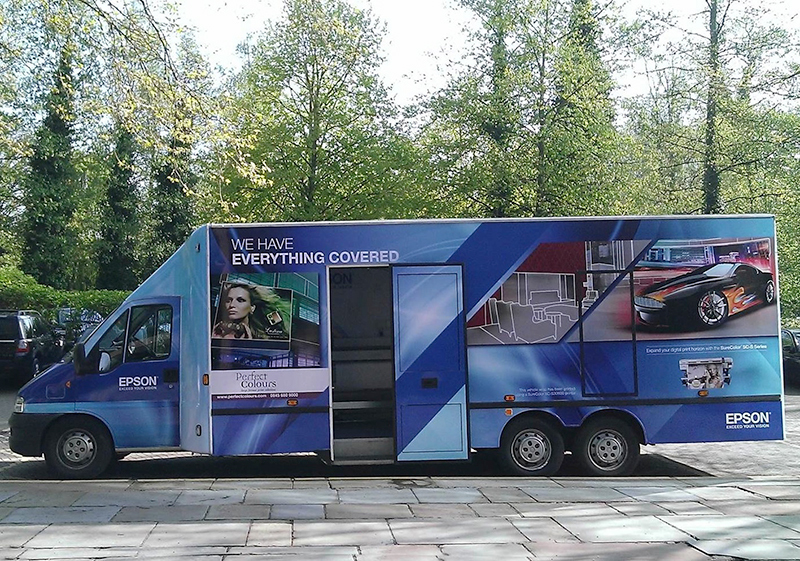 Hosted in partnership with Epson, a fully equipped and beautifully wrapped truck will visit cities around the country throughout September. 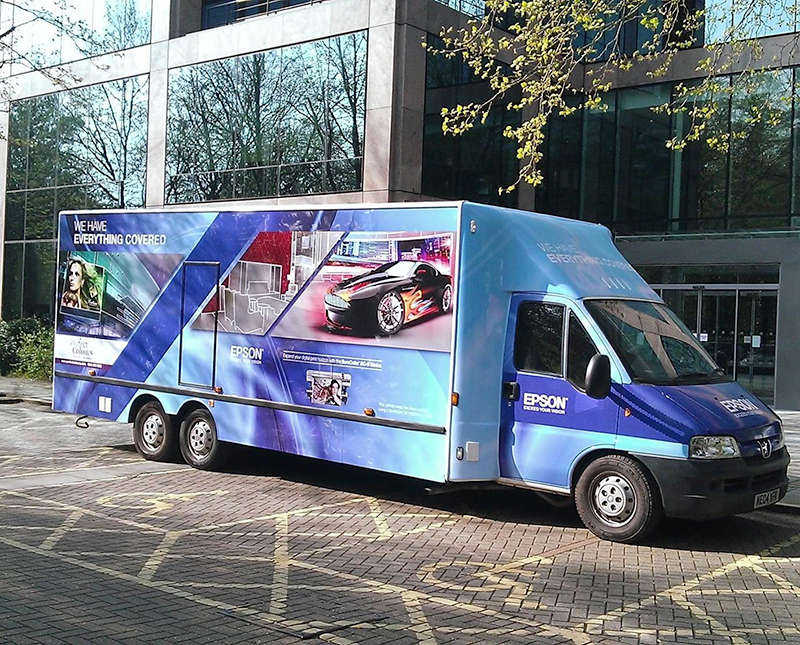 The highlight of the roadshow is the Epson SureColor SC-S30600, a 64″ (1.62m) high-production engine, which is capable of printing at speeds up to 29.4sq m per hour with an exceptionally low total cost of ownership. Its UltraChrome GS2 Odourless solvent inks and Thin Film Piezoprintheads produce incredible prints onto a range of substrates, including vinyl, canvas, clear film, photographic paper and banners. The device is also Energy Star-qualified, guaranteeing superior energy efficiency that helps to keep costs low. The day-long sessions will take place between 10am – 4pm and will give attendees the chance to see first-hand how the Epson SureColor series can create new business opportunities. Both Epson and Perfect Colours will have experts on-hand to advise on which printer would best suit a company’s current and future output requirements, how to configure the machine, and which RIP solution will best suit their particular applications – all of which can be supplied by Perfect Colours as a complete package.